This weekend many museums and art galleries in the Catskills are switching to their winter hours, so be sure to check them out. But art is here to stay. And, despite cool temperatures this weekend, there is plenty to do for art lovers in the Catskills. Friday, October 31 we celebrate Halloween or “All Hallows” tradition originating in the ancient Celtic festival of the dead. November 1 was the beginning of a new year in the Celtic Festival. Later on, Christians began celebrating the Feast of All Saints on November 1. And, All Saints Day continued the Celtic tradition of celebrating the dead; what is more, pretty much all the customs associated with Halloween today can be traced back to the Celts: treat or trick, wearing costumes, and carving vegetables are some of those cherished traditions. 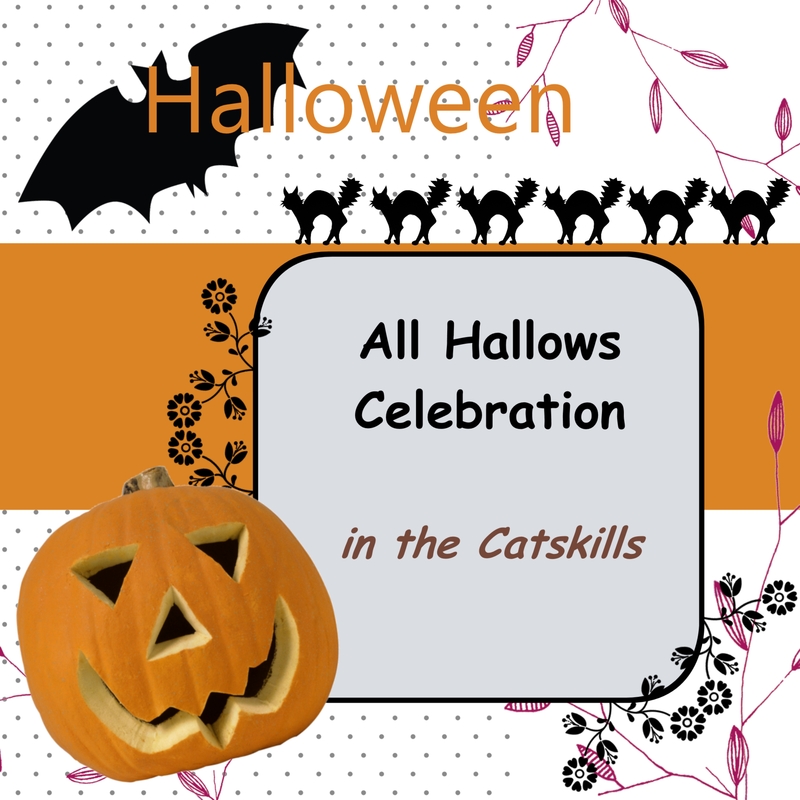 Many Halloween parties this weekend in the Catskills: Woodstock Playhouse presents Halloween Ghoulish Entertainment Friday, October 31 at 6 pm. In existence since 1938, the Woodstock Playhouse is a rural extension of Broadway. This Friday at 6 pm the Playhouse celebrates All Hallows tradition with treats, and other venerated customs. For more information, go to http://woodstockplayhouse.org/. Saturday, November 1 Fenimore Art Museum in Cooperstown presents a Night at the Museum event for all ages, including a tour of the collections, as well as craft activities, storytelling, and live music. Fenimore Art Museum is located in a monumental neo-Georgian mansion built in the 1930s on the shores of the Otsego Lake in Cooperstown. It was built on the site of James Fenimore Cooper’s 19th century farmhouse. The town itself was founded by Cooper’s father, Judge William Cooper. Cooper is best known for his novel The Last of the Mohicans published in 1826. 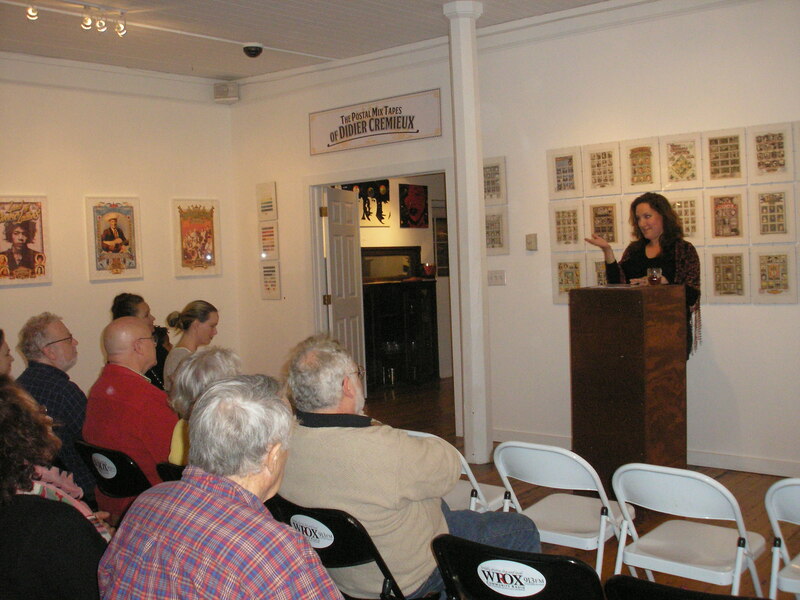 For more information, go to http://www.fenimoreartmuseum.org. Thomas Cole National Historic Site in Catskill, Greene County is closing its exhibit “Master, Mentor, Master: Thomas Cole & Frederic Church,” exploring the relationship between Cole and Church this Sunday, November 2. The exhibit includes 20 works by Cole and Church, displayed side by side – three paintings by Cole, and 17 works by Church, including drawings, studies, and finished paintings. Church worked closely with Cole between 1846 and 1848. The exhibit “Master, Mentor, Master: Thomas Cole & Frederic Church,” which received raved reviews from the New York Times and the Wall Street Journal, includes works completed by Church between 1844 and 1850. 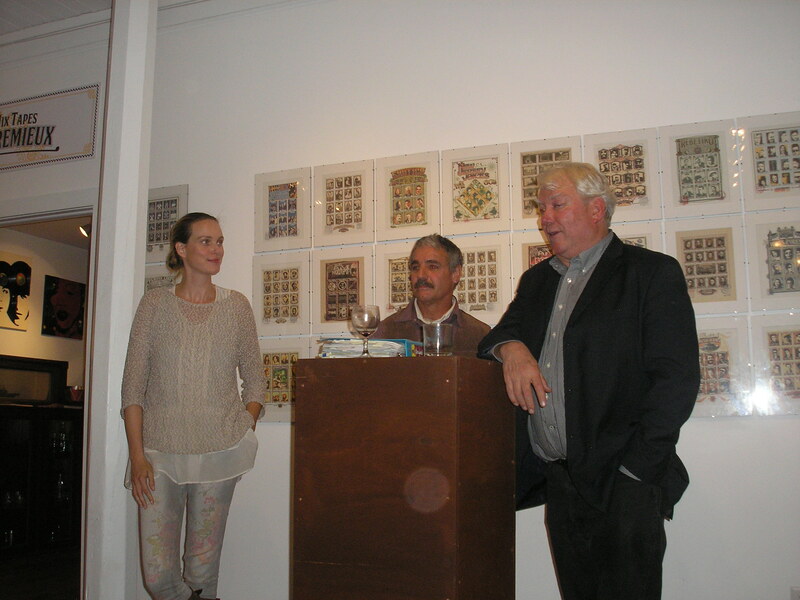 The show was curated by John Wilmerding, former Deputy Director of the National Gallery of Art in Washington, and professor emeritus of American Art at Princeton University, assisted by Kate Menconeri, curator at the Thomas Cole National Historic Site. Kate Menconeri was a guest on “Accent on Monday” radio program on WIOX this past Monday, October 27. 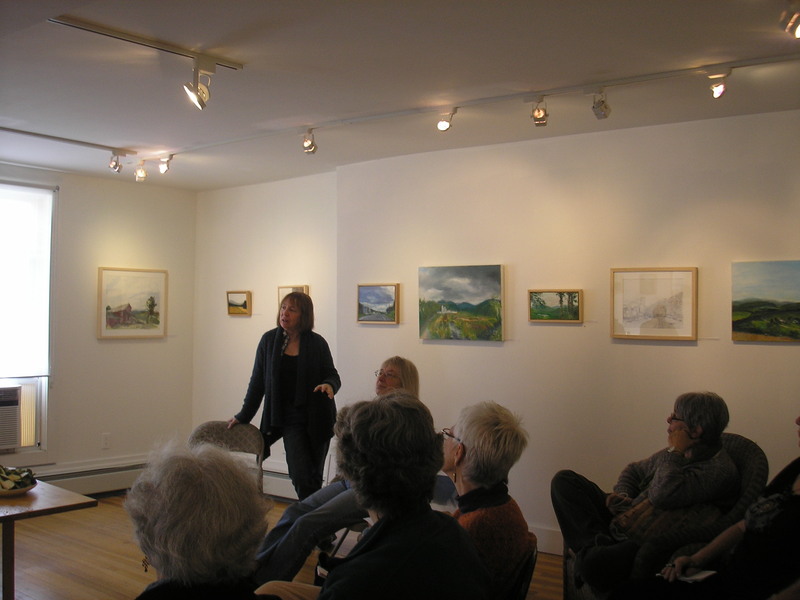 For more information about “Master, Mentor, Master: Thomas Cole & Frederic Church,” go to http://www.thomascole.org/. Bright Hill Literary Center in Treadwell is having an opening reception this Sunday, November 2 from 3 to 5 pm Magic Surrealism Paintings, featuring artist Terry Fox. From Bright Hill Press: “Terry Fox is a self-taught artist born in New Jersey, who moved to Upstate New York in 1973, and has also resided in San Francisco and Vermont. His interest in art started at an early age and has progressed and evolved over the years from early black and white line drawings through to large oil and acrylic expressionistic works on canvas. 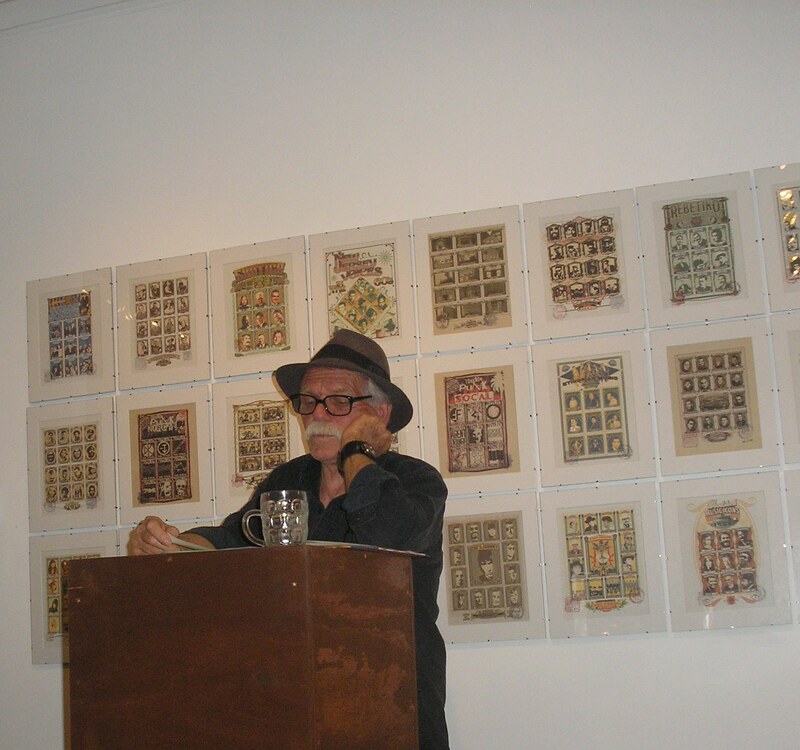 He has shown his work and received many awards at such venues as the Cooperstown Art Association, CANO, Oneonta; Roxbury Arts Group; Noir Show, Charles Bremer Studio, Otego; Smith Pioneer Gallery, Cooperstown; Viviana Hansen Galleries in Delhi and Franklin; the Treadwell Museum of Fine Arts; The Gallery in Stamford; and during 12 seasons of the Stagecoach Run Art Festival in Treadwell and 10 exhibits at the Autumn Café in Oneonta, NY. 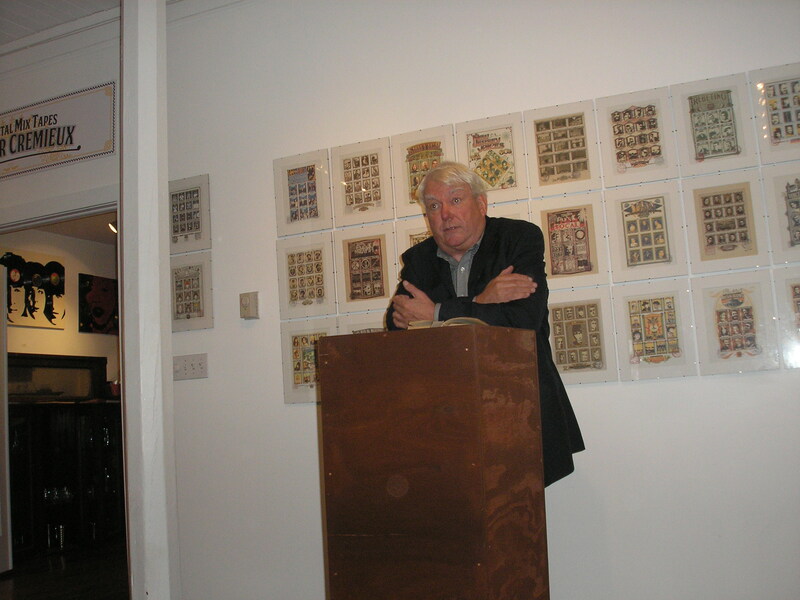 His paintings are in many collections, both nationally and abroad. The British critic Ben Watson called his work: “magical surrealism in the post-realist playpen.” Fox’s exhibit at Bright Hill is the last of the Word & Image Gallery 2014 season.” For more information, go to http://myemail.constantcontact.com/Bright-Hill-s-Word—Image-Gallery-Opens–Magic-Surrealism-Paintings–by-Oneonta-Artist-Terry-Fox-Sunday–November-2–3–5-pm.html?soid=1102771140741&aid=lAUJS2HlTJM. Have an artful, spooky weekend! 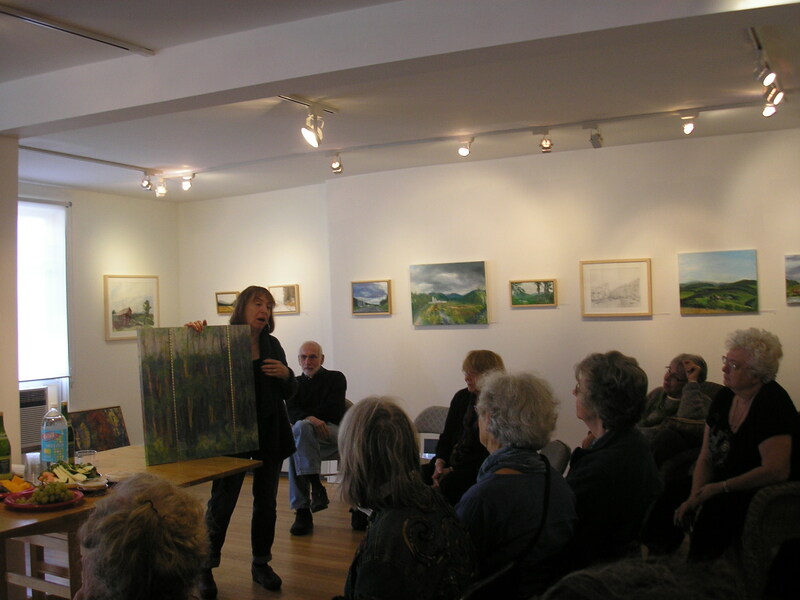 The recipient of many grants and fellowships, including the New York State Council on the Arts Decentralization Grant Program, as well as a National Endowment for the Arts Fellowship, Ellen Wong is an accomplished painter and educator whose works have been exhibited both in New York City and the Catskills, going back to the 1970s. Wong studied in the Art Department at Brooklyn College with Philip Pearlstein, known for reviving realist figurative painting in the 1960s. Pearlstein’s departure from Abstract Expressionism back then made him a renegade in the art world. It’s that kind of artistic sensibility and daring attitude that Wong learned from Pearlstein. Wong herself was initially trained as an abstract painter, but in time she discovered that what she really wanted to do in life was landscape painting: “I noticed that every time I went somewhere I always brought with me my watercolors, and I always sketched where I was; somehow that’s how I got to understand, absorb or take in a new environment – I felt very sensitive to place,” she says. “And it was a good way for me to get to know a place. And I discovered that I had this desire to work outside, to work from life, and to work in watercolors, and that became in a way my primary medium,” she added. 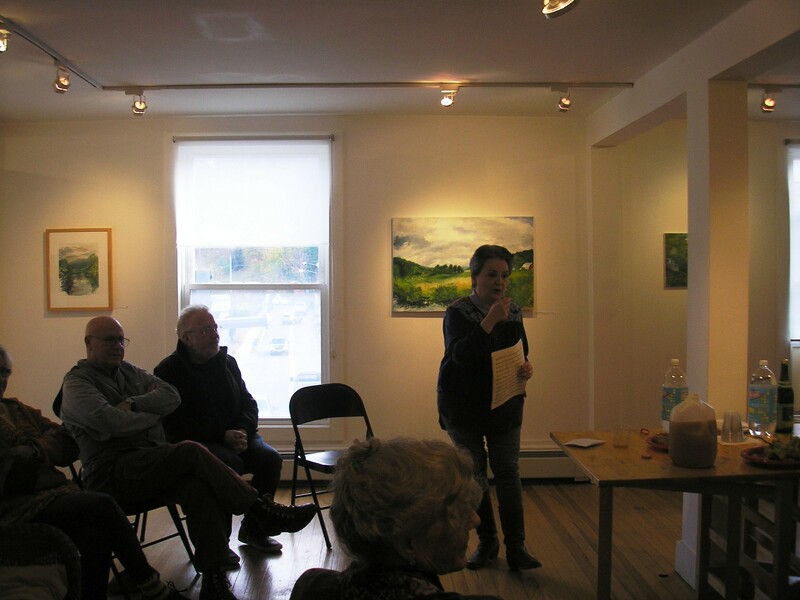 On the other hand, her current show at Longyear Gallery in Margaretville “The Road Show,” on view till October 20, was done entirely in plein air. 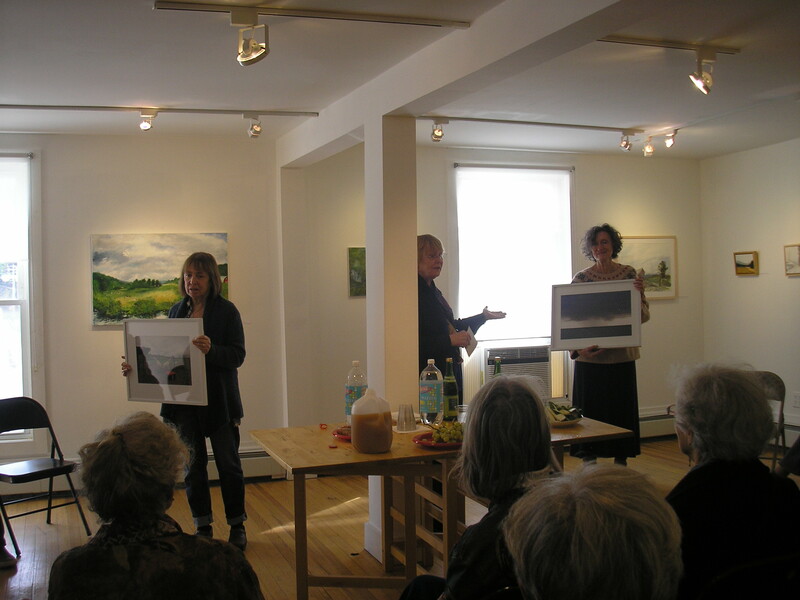 “The Road Show” includes twenty-five oil paintings, watercolors and drawings depicting Catskill Mountains’ scenery in various seasons, although green panoramas predominate. 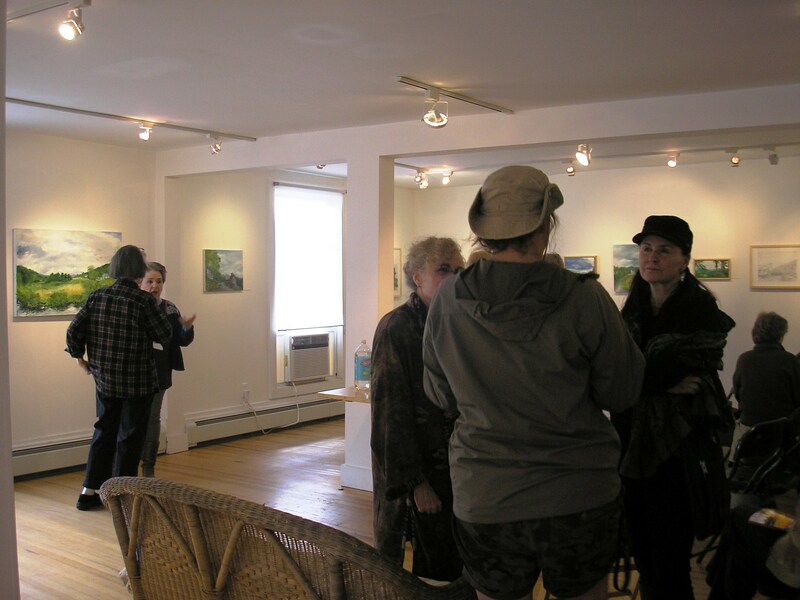 Most of the paintings were done over the past two years, but the show also includes a few older winter and fall pieces. The biggest painting in the show is a 24” x 36” oil on canvass called “Grazing on the Far Meadow on Rt.30 across from Lucci and Randy’s”. Lots of roads: “Autumn in Margaretville” (oil on linen), “Not Just Any Road, Hardscrabble Road” (oil on panel), “Driving Along Red Rock Road Find Farm” (oil on linen), and Wong’s favorite spot in Roxbury – “Foggy Morning, Briggs Road Along the East Branch” (watercolor). The creamery also has a special place in Wong’s collection. 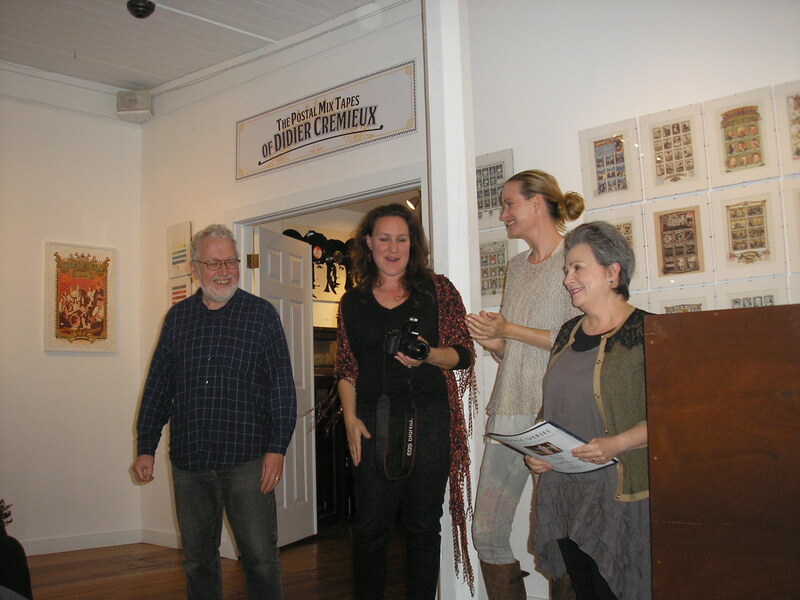 Included in this show are “Stormy Weather at the Creamery” (watercolor on paper), and “Rounding the Curve at the Creamery” (graphite on paper). “Frederic Church, a student of the Hudson River School of Painting, was like a Paganini on a violin, he could do these amazing things. 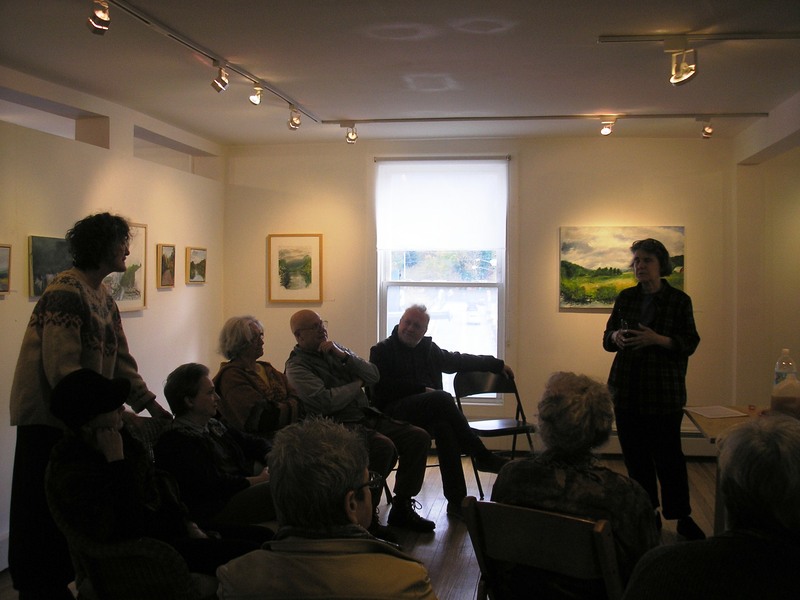 When I had a research grant, and saw some of his oil sketches – the view of the Catskill Mountains from Olana, those works to me are infinitely exciting, and one of the things we must do as landscape painters is to retain that excitement,” articulates Wong. 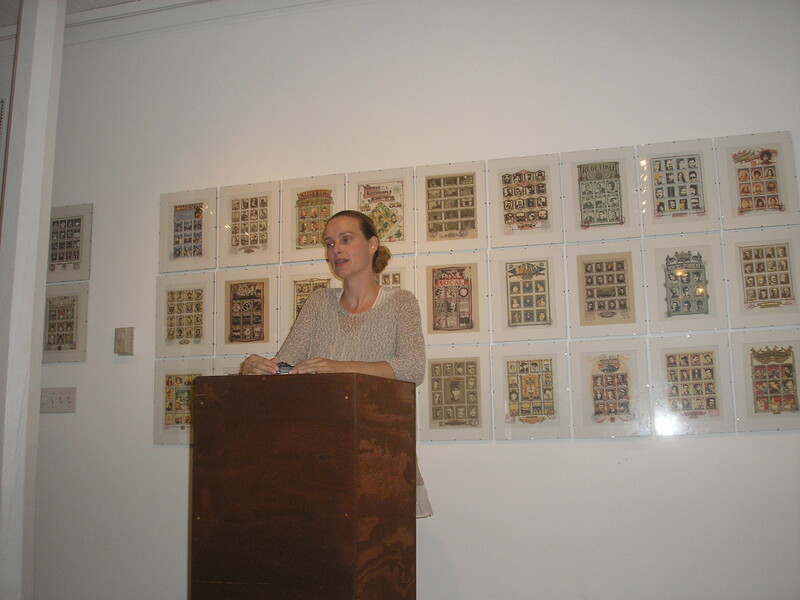 Asked how she wants people to react to her paintings, Wong says that she wants them to be moved, but “I don’t want the work to be sentimental, and I don’t want it to look like a photograph either, although I work from life.” “I also like when people experience familiarity and recognition in the places that I depict,” she adds. The artist’s journal further edifies the process of creating new artworks: “To paint landscape is to be a poet, changing forms, states, colors, sitting by the waterfall in the morning, in the delicate shadow of a little seedling on a rock, the details, the subtle nuances of shadows, trying to deal with rushing waterfall, … how to paint, how to draw, it becomes a technical challenge, and it takes me away from the experience of nature,” Ellen Wong, landscape painter. Poetry slam at Orphic Gallery in Roxbury, New York. Friday, October 17, 2014. 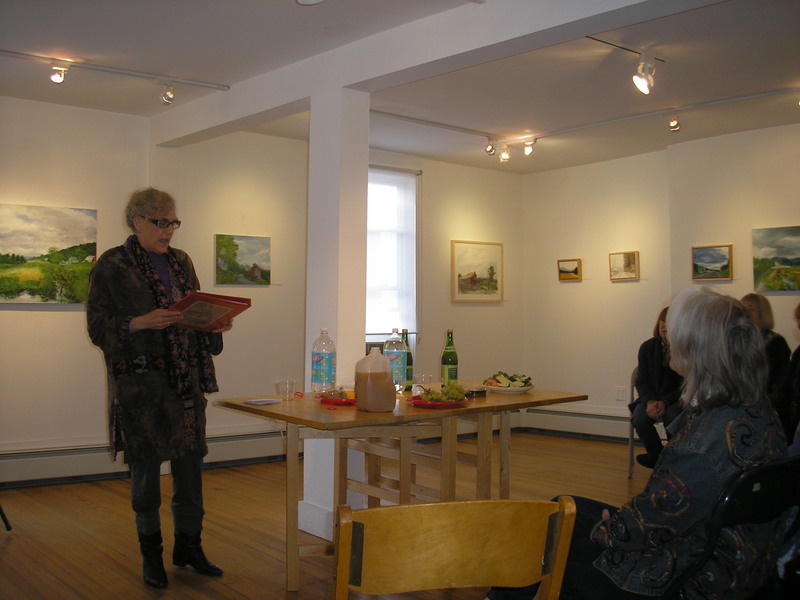 Featuring local poets Sharon Israel, Esther de Jong, Rebecca Andre, Dave Kearney, and Gary Mead. Stellar programs in the Catskills this weekend: the Woodstock Film Festival celebrates its 15th anniversary, Orphic Gallery is hosting an evening of poetry, Thomas Cole National Historic Site is hosting an art book reception, thirty of the nation’s best plein air painters will be working and exhibiting at Olana, and Bard College Conservatory of Music will perform Mozart’s Requiem, preceded by a panel discussion moderated by Bard’s president Leon Botstein. 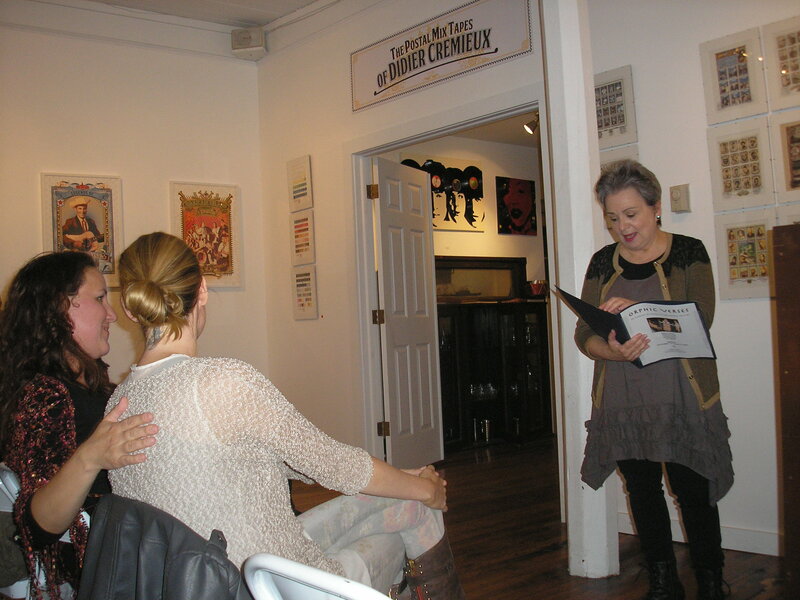 Orphic Verses features the works of local poets Rebecca Andre, Esther De Jong, Sharon Israel, Dave Kearney, and Gary Mead. The poets will read and engage in a spirited dialogue with the audience discussing their works and the poetic process. For more information, go to http://orphicgallery.com/. On Sunday, October 19 at 2 pm Thomas Cole National Historic Site in Catskill, Greene County will host “Arcadia on the Hudson,” a lecture and book signing event with Dr. Aaron Sachs, author of “Arcadian America: The Death and Life of an Environmental Tradition,” published in 2013, and a professor of History and American Studies at Cornell University. The event will take place at Temple Israel next to Thomas Cole Historic Site on Spring Street. For more information, go to http://www.thomascole.org/current-events. 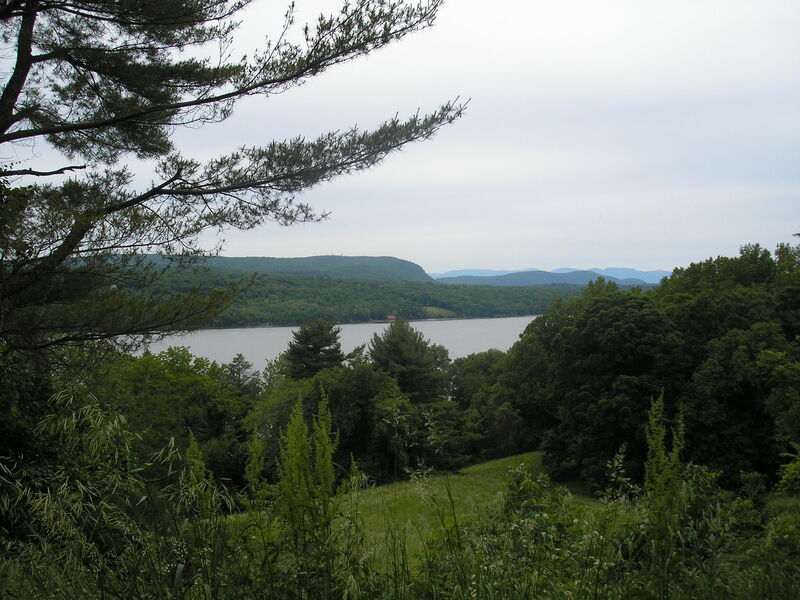 Olana State Historic Site in Hudson, Greene County is hosting its third annual plein air event “Creating Landscapes within the Landscape,” as part of the Hudson Arts Walk festival. 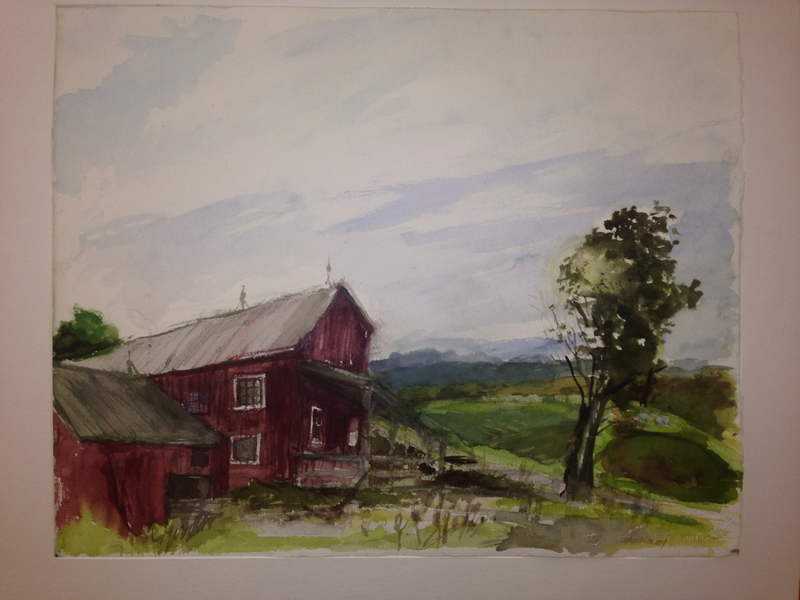 This weekend thirty of the nation’s best plein air painters work on Olana’s 250-acre landscape that includes an orchard, a farm, a man-made lake, and views of the Catskill Mountains and the Hudson River. All the artworks produced over the weekend will be auctioned at the Wagon House Education Center at Olana on Saturday, October 18 from 4 to 6 pm. For more information, go to http://olana.org/. Bard College Conservatory of Music is hosting a special event this evening at 6:30 pm: “Remembering the Genocide of European Roma during World War II.” The Conservatory will perform Mozart’s Requiem conducted by Hungarian conductor Adam Fischer. A panel discussion moderated by Bard’s president Leon Botstein will precede the performance – the panel discussion begins at 4 pm. The event will take place at the Sosnoff Theater at Fisher Center. Admission is free. For more information, go to http://fishercenter.bard.edu/calendar/event.php?eid=126894. Columbus Day weekend in the Catskills: a great time for families to explore the countryside, and experience fabulous food, stunning scenery, and fine art – all in one place. 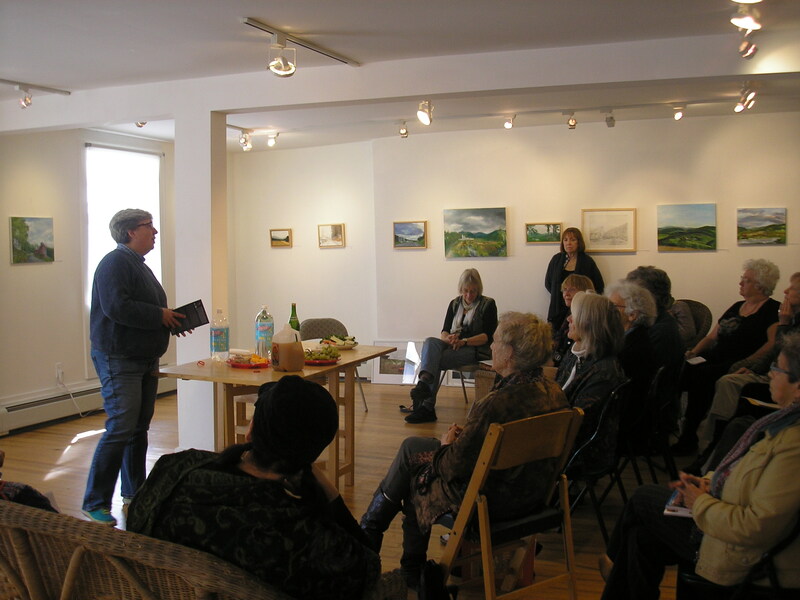 Writers in the Mountains in partnership with Longyear Gallery in Margaretville will present an Artist – Writer Talk “Nature as Muse” Saturday, October 11 at 1 pm. 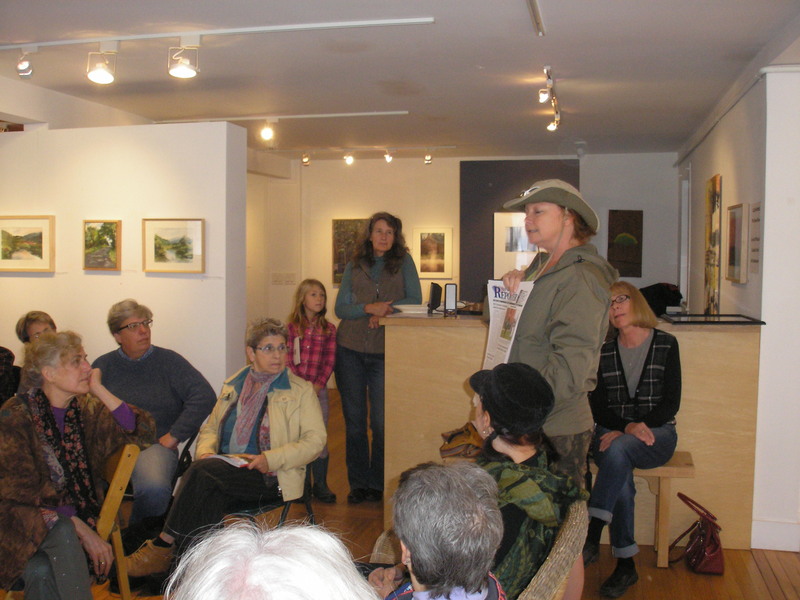 Artists Ellen Wong and friends will be talking about their artistic process as informed by nature. 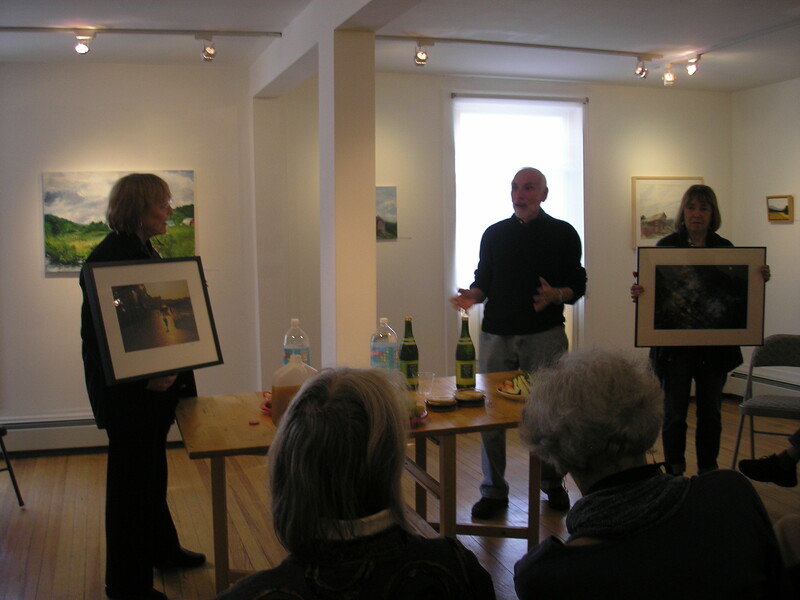 Participating artists include Helene and Frank Manzo, and Elaine Mayes. Participating writers include Lynn Domina, Leslie Sharpe, Anique Taylor, Sharon Israel and Lillian Browne – all writers whose work has been informed by nature. 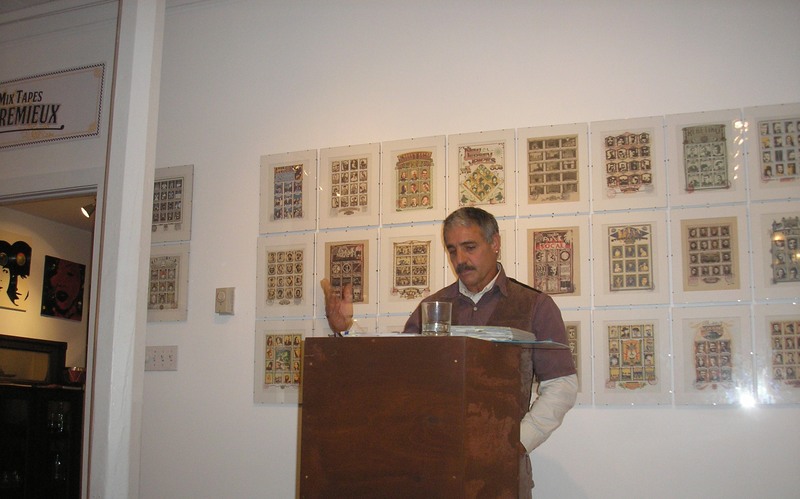 For more details, visit writersinthemounatins.org. 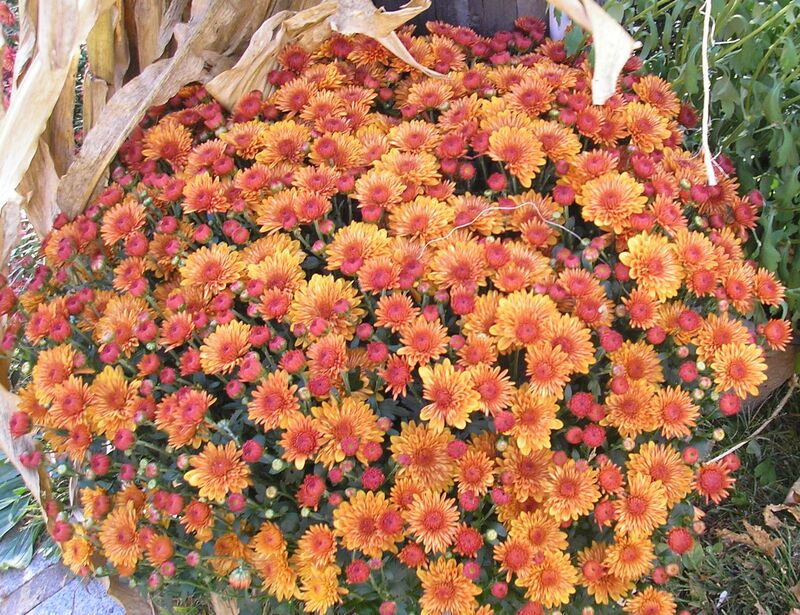 Also on Saturday, October 11 Plattekill Mountain will host its fifth annual Plattepalooza Fall Festival, an event for the entire family; activities include pumpkin painting, face painting, kids bounce house, ski and bike swap sale, bike races, and foliage chairlift rides. There will be live music, barbecues, and microbrews on tap. For more information, visit plattekill.com. Orphic Gallery, a fixture in Roxbury’s artistic life, will be hosting an artist reception Saturday, October 11 from 5 to 7 pm: “Postal Mix Tapes” featuring works by New York City based artist Didier Cremieux. Cremieux designs musical postage stamps and posters inspired by a variety of artists from Maria Callas to Woodstock celebrities. For more information about this event, visit orphicgallery.com. 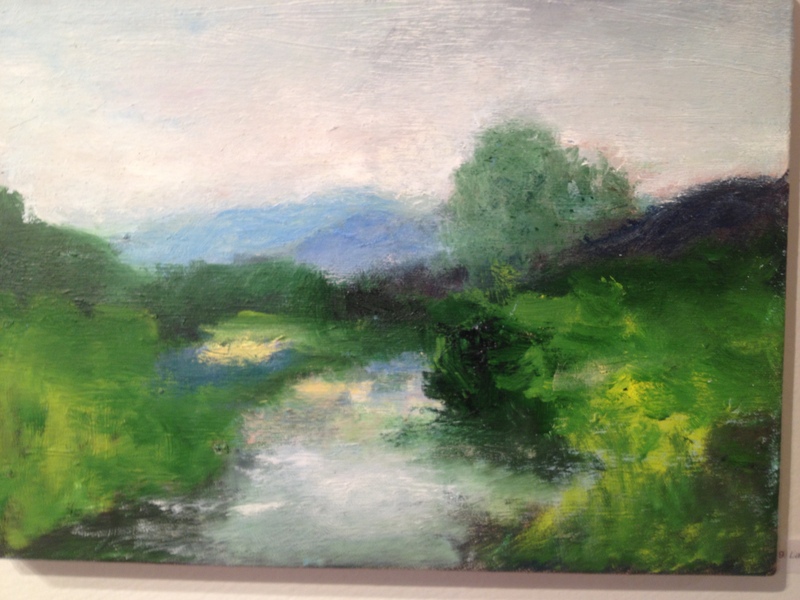 In Sullivan County, Catskill Art Society will host an opening reception Saturday, October 11 at 2 pm: “River and Biota,” a group show featuring 18 artists whose work has a rapport with “the river”. 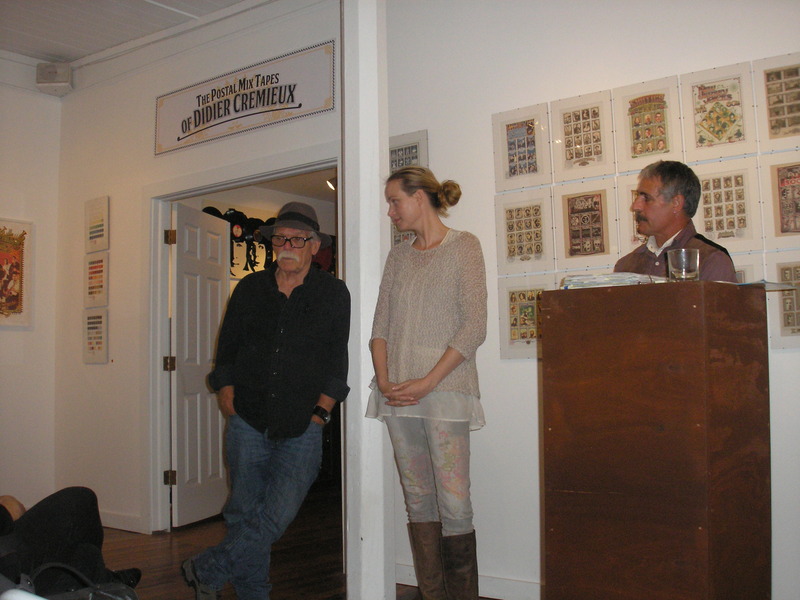 The show, curated by Naomi Teppich, includes artwork by artists Dave Channon, Carla Goldberg, Nancy Wells, and others. 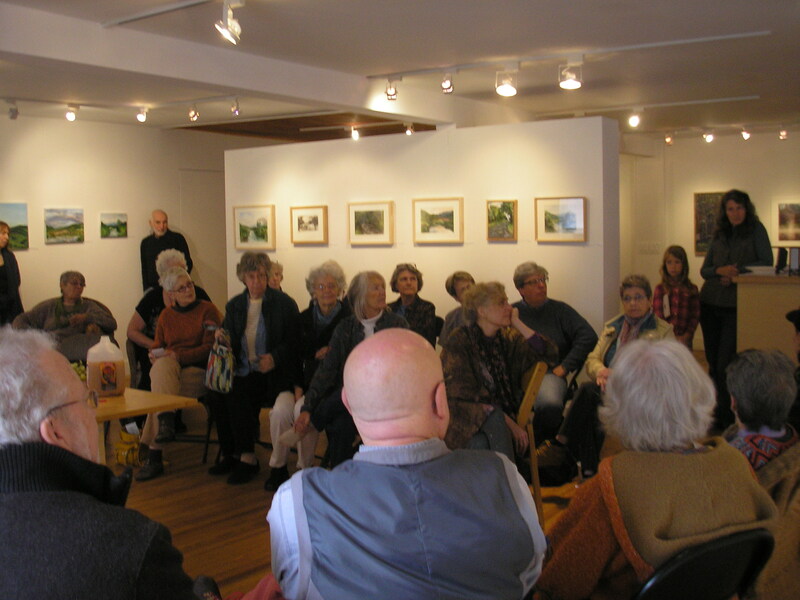 For more information, visit catskillartsociety.org. Also as part of the Hudson ArtsWalk program, there will be an opening reception at the Pocketbook Factory in Hudson on Saturday, October 11 from 6 to 8 pm. More than 250 artworks by artists affiliated with the Columbia County Council on the Arts will be on display – paintings, photographs, sculpture, multi-media installations, and other artworks will be shown. 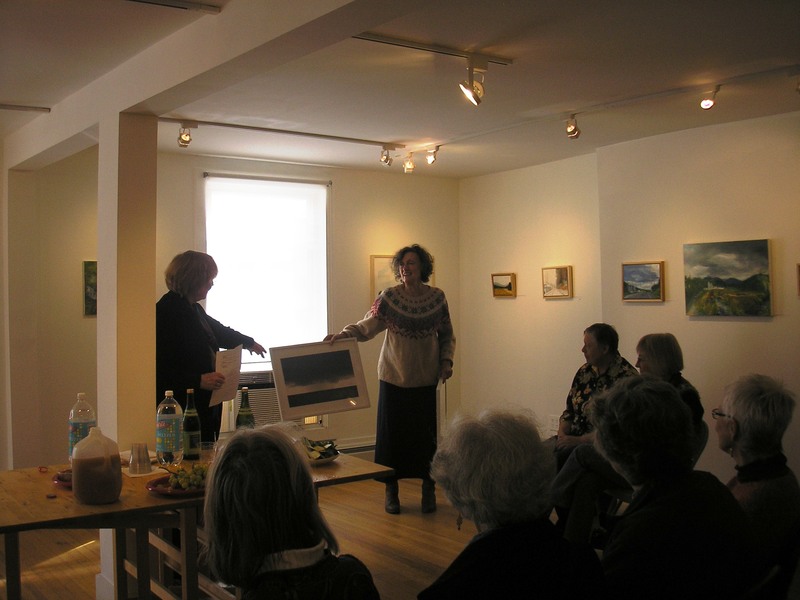 The reception on Saturday evening will celebrate artists Arlene Boehm and Maria Kolodziej-Zincio. 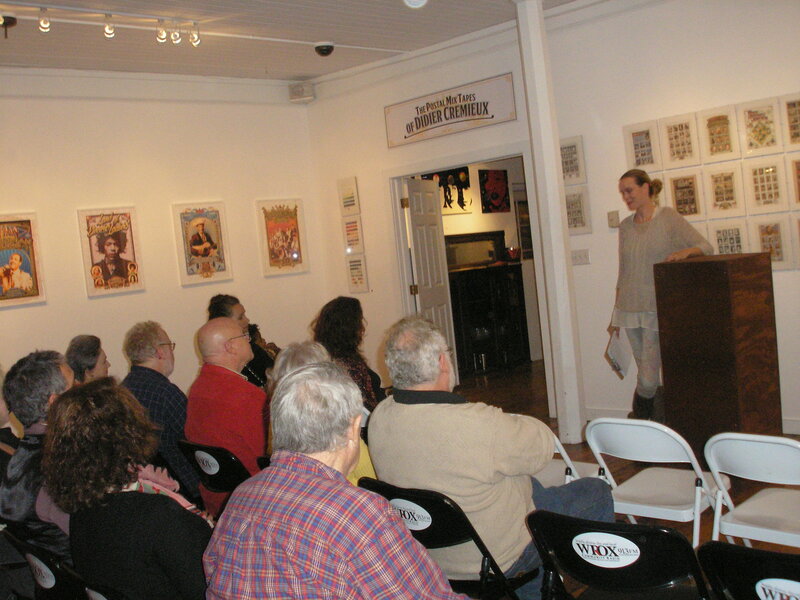 Both Saturday, October 11 and Sunday, October 12 Hudson Opera House will host a series of readings by Hudson Valley poets and writers – the readings will take place from 12 noon to 5 pm. For more information about this event, visit cccaartswalk.webs.com. The Schoharie County Historical Society presents the 125th anniversary of its History Fair this Saturday, October 11 and Sunday, October 12 at the Old Stone Fort Museum in Schoharie. There will be live music and dance performances; artists and artisans will showcase a variety of works inspired by local history, and local authors will autograph their books. For more information about the fair, go to theoldstonefort.org. Roxbury Arts Group will celebrate the 21st anniversary of FIDDLERS!, one of its most popular events, Sunday, October 12 from noon to 7 pm. FIDDLERS!, an event dedicated to the Catskills’ traditional fiddle music, will feature performances by Tim Eriksen & The Trio de Pumpkintown, The Tremperskill Boys, Ryan McGiver with Cleek Schrey & Stephanie Coleman. Square dance and a chili cook-off are also part of the good cheer. For more information, go to roxburyartsgroup.org.